Sudhir uncle, Rema aunty and Anupam bhiaya are in our house today. When my grandma saw them she started crying. Then they also cried. Must be something to do with my grandfather’s death. (Note to self: Got to understand what death is). Anupam bhaiya wasn’t as excited to see me as he usually is. Maybe because he is eight years old he understands death better than me. 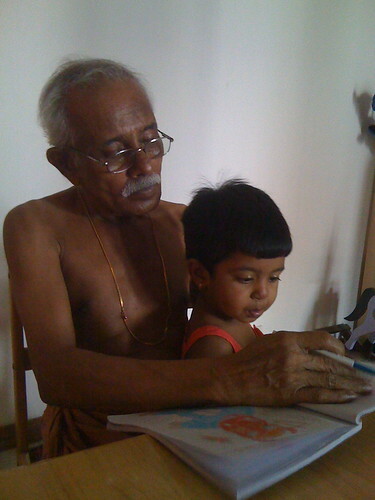 There is talk that we will be taking my grandfather to Kerala tomorrow. My father was missing the whole day today. When I asked my mother said he had gone to buy airplane ticket for my grandfather. The whole of today my parents were in the hospital because last night my grandfather had been admitted to the hospital. He was in the ICU and somebody had to be there always. My father went to office till 12 noon and after sorting out a few issues, picked me up from school and dropped me home. 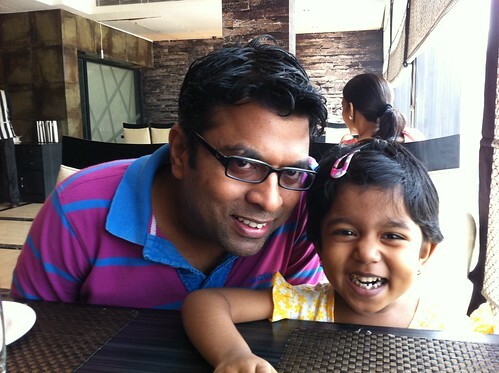 He then gave me lunch (even as I watched Chota Bheem on Cartoon Network). Once we were done, he left home to be with my mother at the hospital. While he was giving me lunch, I heard him thank his colleagues for offering to donate blood. Eight of my father’s colleagues had come to the hospital to donate blood. Apparently my grandpa was bleeding from his oesophagus and needed a lot of blood. I miss my grandfather. I remember asking my father when he will bring my grandpa back. My father didn’t have an answer. I even promised him that I will ask God to make him alright. At 5.32 pm, he passed away. My mother returned home alone at 7 pm and told my grandma the news. She burst out crying….what more could she do. My mother confirmed that yes, he was. She even said from now onwards my grandfather will be speaking to God and will be telling him to give me good drawing books & crayons. My father didn’t come till I slept off at 9.30 pm….my mother said he was getting some death summary from the hospital and some police documentation as well. My mother is really upset. I know she gave it her best after my grandfather was diagnosed with Cancer in August 2010…..but she couldn’t save him. This is the first death I am experiencing. Every weekend we go out for lunch or dinner, at least once. In the last few months we have stopped that because mother says she doesn’t feel nice leaving my grandmother and grandfather at home and going out for lunch/dinner. “Why don’t we take them as well?” I once asked my mother. So we went out. Some place called Gola restaurant because my mother wanted to try out something called Sizzlers. In the first part of the outing, I sit with my mother because she is more patient while giving me lunch. In the second part of the outing – when it is time to have desserts – I move beside my father. My mother never shares her dessert but my father does.